Five years ago The Law Office of Mark D. Copoulos was founded in a desk adjacent to a full size law firm. This month Attorney Copoulos moves into an “A” class building located at 1628 John F. Kennedy, Blvd., Suite 2120, Philadelphia, PA 19103. The building, known as 8 Penn Center, is one of the most modern facilities in Philadelphia. Copoulos will remain committed to providing high value to all his clientele as he upgrades his surroundings. 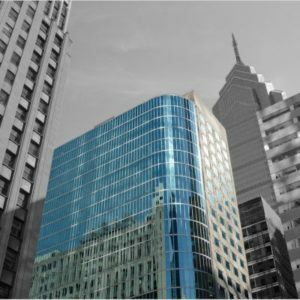 The superior office space is made possible through collaboration with some of Philadelphia’s top personal injury lawyers. Working together as a team, Copoulos is committed to providing responsive, outcome oriented representation at an incredible price. If you have been charged with a crime, or have problems stemming from a Landlord & Tenant relationship, contact Mark D. Copoulos. We will schedule a follow-up consultation at our new office facilities. After you speak with us, and review our surroundings, it will be evident our commitment to excellence is unparalleled.